All Pecan Hill homes currently listed for sale in Pecan Hill as of 04/24/2019 are shown below. You can change the search criteria at any time by pressing the 'Change Search' button below. If you have any questions or you would like more information about any Pecan Hill homes for sale or other Pecan Hill real estate, please contact us and one of our knowledgeable Pecan Hill REALTORS® would be pleased to assist you. "Buy your own piece of the country! 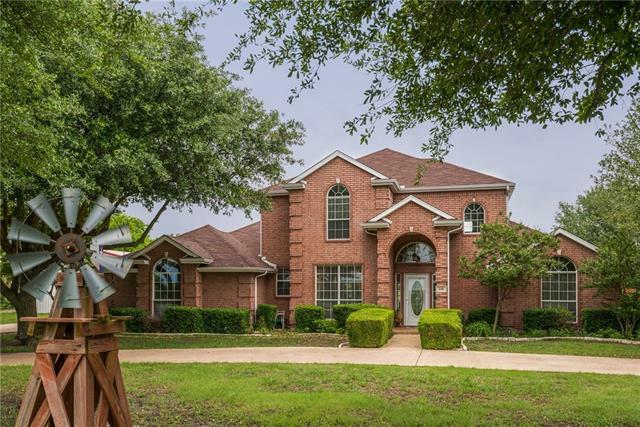 Immaculate custom home situated on 4 acres in Pecan Hill (low taxes), Red Oak ISD & short distance to I-35 for an easy commute to DFW. Flexible floor plan featuring 3 or 4 bedrooms (4th bedroom currently an office), 2 living areas & 2 dining areas. Low maintenance laminate wood flooring found throughout. Open kitchen that was recently remodeled with slate backsplash & good custom cabinet & counter space. Large living area with fireplace. Light & bright. Master"